The Nelsonspirit Trafalgar Dinner is TONIGHT!! In celebration of eight years of Nelsonspirit and the second anniversary of the Future Leaders Fund, tonight we will come together with our 84 guests for the Trafalgar Dinner. After months of preparation we are very excited to welcome all guests to the dinner with the aim of celebrating the past, enjoying the present and inspiring the future. We look forward to seeing you all tonight!! 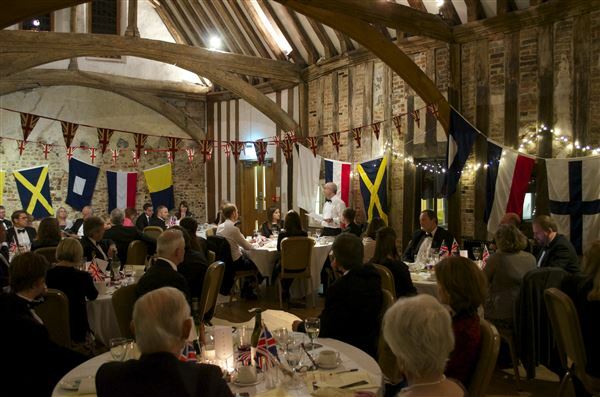 Nigel in action at the last Trafalgar Dinner held in 2014.